In case you haven't noticed, we take our compost pretty seriously. There's a worm bin in the kitchen, and passive piles (sometimes hot...but to be honest I haven't had much time to keep turning them so they're passive for now) in the yard. The chickens do a lot of compost work by eating veggie scraps, but we don't give them spent coffee grounds, onions, garlic and a few other things; our worms get those. The worm bin, though was too awkward for our new kitchen arrangement. In order to get into some of the cabinets the bin had to be moved, and worms don't particularly care to be bothered with that. 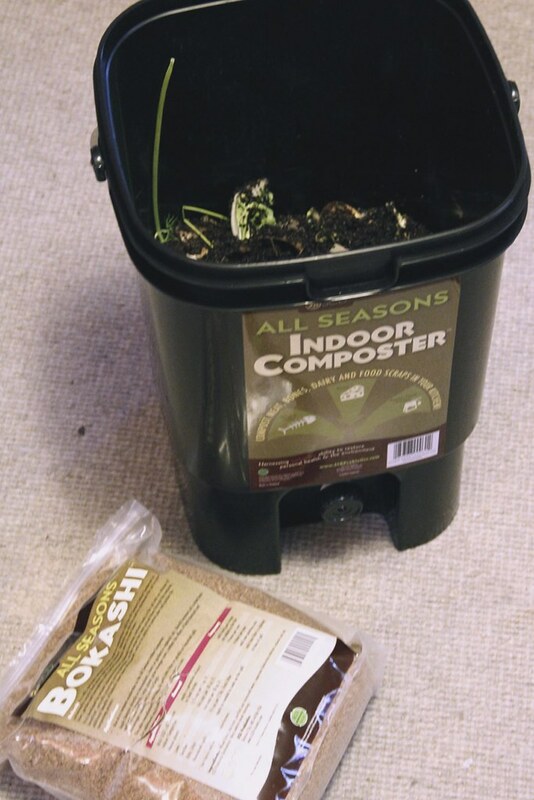 They like to have little by way of change, so I'd been considering a vertical worm bin for some time. We'd kept them going for 3 years in the storage tote bin, I finally decided it was time to move them to something a little fancier: a Worm Factory. Lucky for me, I know a guy. Bokawha? 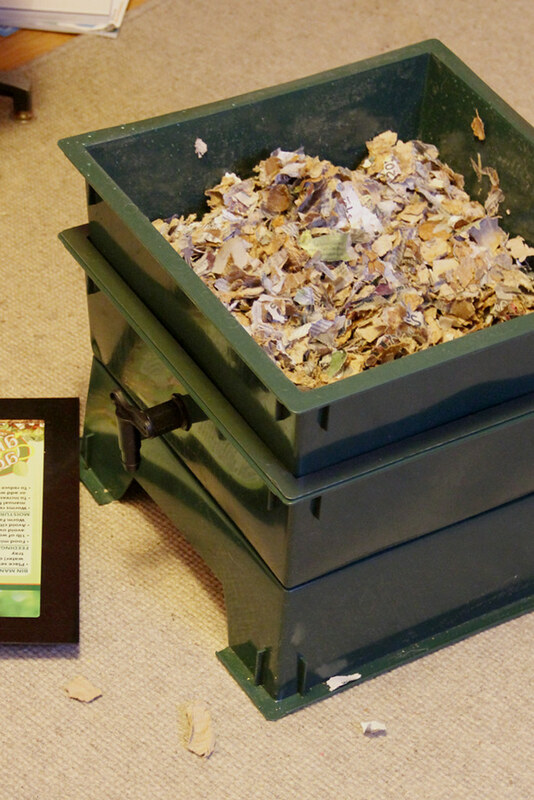 Bokashi is an anaerobic form of composting. You're basically fermenting the food scraps. I thought we should add that to our composting repertoire because you can add bones and dairy to the bokashi bin. Adding meat to my diet way back when created a new challenge for our household food waste. Before, when there was meat in our house, it was only Charlie's meals and I wasn't a fan of touching/preparing the stuff, so everything was of the heat-and-serve variety that no longer resembled the formerly living creature it once was. No skin, no bones, no fat to cut off. Now, though, the meat comes straight from the farmer; it looks like meat, there are bones, there is skin, there is fat. Usually trimmed fat and skin go to the furry kids, but bones pose a risk so they are sometimes used for broth preparation, but ultimately go to the landfill. After little rearranging in the kitchen, the worms are in their new home and the bokashi has started a-brewing. I'll keep you filled in as things progress, but for now I love the fact that I can open the cabinets without shifting everything around. A bonus for the new set up? 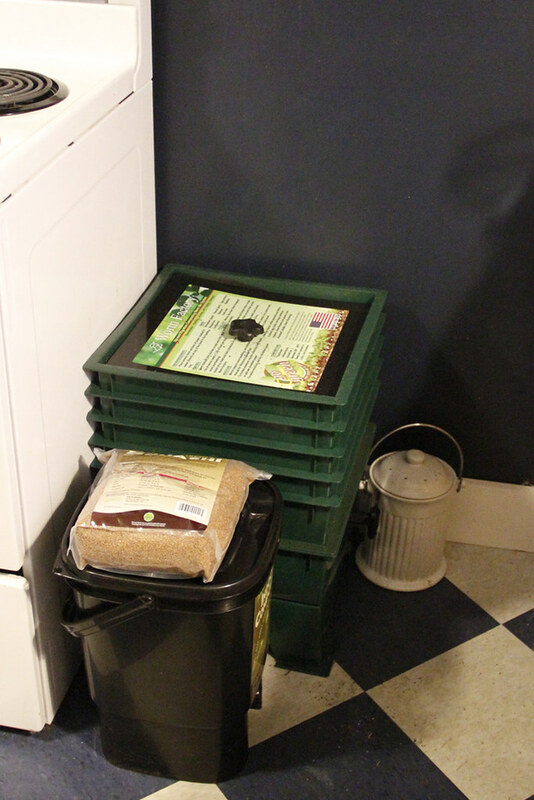 The two new bins take up less space than the old worm bin alone!